I am a father to three young girls. I coach softball and teach middle school students. Self-esteem, body image, and body confidence are topics addressed on a daily basis with all the women and girls in my life. What I have noticed in any conversation about self-esteem everyone, including my students, related it back to women and girls. As I mentioned, I teach middle school students and yes, I do see girls struggle with issues regarding self-esteem and body confidence - but I see boys struggle with this issue just as much. I knew I needed to set out and find a way to help my students realize that self-esteem and confidence are important for everyone. So, what is one reason I got involved as a Dove Self-Esteem cadre member? The weight room! In a 2013 Psychology Today article, Drexler (1) cites statistics relative to my classroom experiences. First, 40 percent of boys in middle and high school exercise regularly. Second, boys overwhelmingly reported feeling pressured to fit a certain physical ideal of lean, muscular, and broad in the shoulders. The weight room can be a very daunting place for anyone of any physical ability. It can be even more daunting for an 8th grade boy (in a class of 8th and 9th grade peers) who has not gone through the growing process yet, as some of his peers have. I’ve seen one of my student go through this. He came into strength class at a level he wasn’t satisfied with. He got really frustrated with his numbers and the appearance that he was “weak” compared to his peers. He would not engage in group activities/ interact with peers, would be last to show up for class and the first to leave, his head dropped and shoulders rounded. He also was not a member of any extracurricular activities. It was easy to see how comparing himself to others shaped his self-perception and ultimately held him back. Students in today’s society are influenced by so many internal and external factors. These external factors, out of the control of the teenager, have influenced this opinion of self. With a lot of these factors coming from different social media outlets where they can only post a picture or 140 characters, my students choose not to talk about their feelings and beliefs of themselves but rather post their negative thoughts. My student from the weight room, I found, was posting things about his perceived strength level on social media. Just one of many ways I have noticed middle school boys being critical of themselves. When teaching my unit on body confidence/body image, the biggest hurdle I have to overcome is self-talk. Typically, teenagers are wired to think they are the only ones dealing with a given situation. What they do not always realize is the person sitting next to them or two rows back is dealing with the same situation. We start every year in health class with our social-emotional unit not because it is easy (it’s actually the most challenging), but because it sets the tone for the students to begin getting to know themselves and others, so the rest of the year they can find various ways to relate the content back to helping them grow as young men and women. The Dove Self-Esteem Project Confident Me! lessons helped with this problem of negative self-talk. The discussion prompts led to great conversations about self-esteem and appearance ideals that were happening at my school. Students were challenged with this curriculum to begin looking at themselves and stop comparing to others. Boys are going to continue to be pressured by different outlets which lead to comparison about self and possible negative self-talk characteristics becoming more evident. From the Dove Self-Esteem Confident Me! lessons done in class, the discussion that ensued about negative self-talk and realizing times it happens clicked in my weight room student’s head. He came to me after a lifting session and said he could tell he was having negative self-talk but was starting to use strategies his peers gave him from health class to help overcome those negative thoughts. This was something done by the students themselves and not me! How powerful is that! That is why I do what I do and help promote this great free curriculum anyway I can. Oh, the weight room student… When he left as a 9th grader, he was standing tall, looking teachers and students in the eyes when communicating with them, and engaging in class and extra-curricular activities. I don’t see this student as much now because he is in another building, but when I do, we talk about the positive things going on in his life. I always try and tell him and other students that I am proud of them and ask them one question: What is going well in your life today? Brett Delaney is a middle school health and physical education teacher in Iowa. He is also a member of the Dove Self-Esteem cadre trainers who seek to increase awareness and encourage educators to implement the no-cost Dove Self-Esteem Project’s single or five-lesson Confident Me! curriculum. For more information about the Dove Self-Esteem Project’s Confident Me! lessons, please visit the following link: Dove Self-Esteem Project. It was a bright, temperate December afternoon as Cairn Guidance staff and the 2018 Dove Self Esteem Project (DSEP) Cadre gathered for a two-day retreat. Our sight clearly set on success, we began the day by having the cadre learn about each other. This was not an icebreaker. This was a genuine effort to begin developing relationships amongst the trainers from across the United States who will be spreading the DSEP curriculum. In order to engage and interest educators, it is important to help them understand the underlying core of Confident Me!, the body confidence education program for young girls and boys created by the Dove Self-Esteem Project. Is it credible? Is it successful and why? What is the ease of implementation? What does it cost? How is it supported? Cadre members enthusiastically listened as Jessica Lawrence, Cairn Guidance’s Director, modeled a presentation for educators or their decision makers. It was important for members to see the presentation in action. Lights! Camera! Action! It was now their turn! Divided into groups, members were assigned one of the six Confident Me! lessons. Their task was to provide an overview of the lesson. After each group presented and during discussions, Jessica again supported learning by sharing additional tips and suggestions. It was a great first day. Cadre members got to know each other, gained a better understanding of the research and evidence that supports the need and development of the Confident Me! program, had the opportunity to learn more about the lessons, saw modeling, and shared tips. Did I mention the energizers led by cadre members Danielle Petrucci and Heather Deckard? What fun! The next day began with cadre members experiencing one of the program’s student activities, Find Someone Who… Members dutifully wandered the room with their list in hand, looking for someone who fulfilled any of the talents or skills listed. What they found was more than securing a signature on a specific line. They discovered incredible tidbits shared by fellow cadre members. They actively listened to each other, asked questions, laughed, and eagerly moved from person to person. This first-hand experience of the student activity was eye opening for many. As the sun continued its trek, so did the cadre. In order for them to do their jobs well, they needed to fully understand their roles and responsibilities. It was critical for them to have a deep understanding of their purpose and how to navigate through the protocols set-up for their success and the smooth running of DSEP. It was also helpful for the newest members to hear from the 2017 cadre on their successes and learning opportunities. Samantha training trainers on how to run the DSEP exhibit booth. Taking learning into their own hands, members rotated through carousels on professional development, conferences and virtual communication opportunities. They brainstormed and shared ideas on how to leverage each in order to reach educators and interest them in implementing the program. Pages of great information were generated and will be typed and shared. Today’s technology allowed participants to take pictures for immediate use, as they developed their year-long work plans. The last session saw members rotating through three stations allowing for discussion, practice or strategizing. The richness of the discussions, enthusiasm in each member’s eyes, and commitment was palpable. We are ready, prepared, and eager to help educators touch additional student lives in 2018. This retreat allows us to move forward steadfastly and with sure-footed purpose. To learn more about DSEP, visit the Dove Self Esteem Project. Stay tuned! 2018 Dove Self Esteem Cadre Trainers! Cairn Guidance recently represented the Dove Self-Esteem Project (DSEP) at the American School Counselor Association in Denver, CO. In attendance was myself, Heather Deckard and over 3,000 school counselors from around the globe. This trip was AMAZING! My boyfriend (Brandon) and I used this as an opportunity to take a road trip, so we loaded up our rental car and drove from Kentucky to Colorado. We arrived in Colorado after about 20 hours of driving. Normal people would want to sleep, but since we arrived early in the day we had to check out the Denver Zoo and the wonderful places to eat! Before the conference we were slightly skeptical how the program would be received with school counselors, as we had mostly been attending Health and PE conferences such as SHAPE/AHPERDs. This skepticism quickly dissipated as within the first hour our booth was flooded with excited attendees eager to find a comprehensive program focused on supporting the self-esteem of their students. Many school counselors had utilized aspects of the program before, such as the “Evolution” video. This powerful video was mentioned by counselors from Hawaii to Maine, who expressed what open/meaningful conversation it sparked between adolescent students. School counselors supported our message 100% and were excited to lead by example and join our social media movement! We also interviewed LaKesha Grooms, a school counselor from Georgia who won an all-expense paid trip to ASCA by implementing the DSEP lessons in 2016. Read LaKesha’s interview and check out the pictures of conference attendees who participated in our #DoveSelfEsteemProject positive social media movement focusing on the attributes that make us unique! Meet LaKesha Grooms, the School Counselor working on Body Confidence Issues at her school! 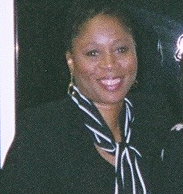 LaKesha Grooms is a School Counselor at Henderson Middle School in Jackson, Georgia and one of our 2016 incentive winners for the Dove Self-Esteem Project (DSEP). LaKesha won an all-expense paid trip to the American School Counselors Association’s (ASCA) National Conference in Denver, Colorado in July 2017. LaKesha spent some time looking for resources to support students that struggled with their self-esteem. She noticed many of her students were struggling with body confidence issues and she happened to find the Dove Self-Esteem Project online. LaKesha believes the curriculum, which includes a single-lesson and 5-lesson program is a great fit for students taught by school counselors. The program provides resources for students by providing skills-based instruction and learning; guidance on how to implement the program; and how to align the content with the American School Counselor Association standards. When asked what she thought the impact on her students was, LaKesha said, “Identity! Many kids struggle with their identity. That goes hand in hand with a healthy self-esteem and being comfortable with who they are.” She loved how the program encouraged awesome discussions in class. Her groups really flowed and the kids were able to express themselves by sharing some personal things that they struggle with, such as the need to fit in with a certain group. The impact for her was getting them to start talking about themselves and acknowledging the fact they are different and unique. She facilitated the program in small groups with about 10 students per group. The students were carefully selected since they were students that were struggling with self-esteem. LaKesha suggests that if implementing with groups versus in a classroom setting, capitalize on the program! Make it grow! You can use it in a variety of ways. They have clubs/flex groups at the end of the day during the last day of the month where students get to go to the class of their choice. You could embed this program into some of your current programs. You can get your science, health and PE teachers involved. She believes that when everyone is involved using the program it spills over! LaKesha believes implementing the program is worth it and it is worth it for the kids! Now for the best part, DOVE SELF-ESTEEM PROJECT WAS VOTED BEST BOOTH AT ACSA 2017! Winners were decided by conference attendees voting on the ASCA app, and we were extremely honored as this was the first year Dove Self-Esteem Project was in attendance! Cairn Guidance and DSEP wants to thank ASCA and its attendees for welcoming our mission and we look forward to working with more eager school counselors to help students achieve their full potential! The theme of the National Association of School Nurses (NASN) Annual Conference in San Diego, CA June 30- July 1 this year was From Evidence to Action. It was a great experience to represent the Dove Self Esteem Project (DSEP) as an exhibitor to share a range of curriculum-relevant teaching resources, developed in collaboration with educators and students. The DSEP tools take evidence to action and are proven to make a positive impact in body-confidence. The DSEP lessons and materials were well received by school nurses from all over the US – many of whom shared they could use this project to augment their puberty lessons. Research shows that one in five high school students reported being bullied on school property. We know that young people are bullied for a number of reasons, but appearance, including body shape, weight, and skin, are common. The school nurses we met with reported needing something on this topic for their middle school and high school students, as bullying, low self-esteem, and access to social media can impact student’s health and ability to learn. Those that do not teach were happy to pass the information onto their Health or Physical Education teachers. Cairn Guidance has partnered with the Dove Self-Esteem Project to reach young lives with self-esteem curriculum across the country. Dove Self Esteem Project National Cadre Introductions! Cairn Guidance is proud to introduce the 2017 Dove Self-Esteem Project National Cadre members, representing thirteen states around the country. These educators participated in a rigorous application process to represent this national cadre. They are passionate about the health, well-being and academic success of youth. The cadre members were selected from many applicants across the US and comprise a mix of both new and experienced professionals that include health teachers, physical education teachers, public health professionals, school nurses and school counselors. During their term, the cadre will play an essential role in providing FREE professional development to educators across their region. The cadre members will provide quality support, awareness and training on the Dove Self Esteem Project called Confident Me!. Monica works with school staff to reduce teen pregnancy and STDS. She is also counsels middle school students. Monica says the Dove Self-Esteem Project fits in nicely to the work she is already doing. Margaret is a middle school physical education teacher. She is also a coaches soccer and most recently finished her National Board Certification. Margaret is excited for this adventure with the Dove Self-Esteem Project. Jennifer is an 18-year Health Education veteran. She has seen how confidence (in any realm) is paramount to believing in the power of living a healthy lifestyle. She cherishes the opportunity to shift the mindset of someone struggling with negative self-image through the Dove Self-Esteem Program, Confident Me! Julie is an 18-year veteran of Middle School Counseling. She has used the Dove Self-Esteem Program, Confident Me! with her 5th and 6th grade students. She is excited to be part of the Dove Self-Esteem Project and to bring it to others in her state.